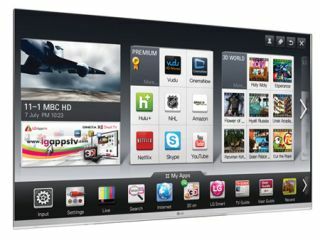 LG to launch cloud service on May 1st | What Hi-Fi? LG is to launch a cloud storage service on May 1st, allowing customers to upload their digital content to the firm's servers and stream it to all their linked devices, such as LG smart TVs, smartphones, PCs and set-top boxes. Unlike Apple's iCloud it will be open source, and (not surprisingly) there's no iOS app, but rather an Android app that allows users to download content from Google Play or LG Smart World. LG Cloud will be available in both free and paid versions, the company says, but pricing plans will vary from market to market. You'll get 5GB free (there's even talk of up to 50GB free for the first six months), and as LG has gone for an open-source platform (unlike Apple), there'll be support for 29 video, 33 image and 60 document formats. Initially launching in the US and South Korea, we hope the UK will be next in line.